Teen Challenge Programs for Troubled Youth…Teen Challenge for Adolescents — therapeutic boarding schools and boarding schools. These Teen Challenge schools offer unparalleled behavioral and academic recovery for troubled teens. All Teen Challenge boarding schools have year-round admission and affordable tuition. Columbus Girls Academy is a Christian boarding school for teenage girls struggling with life-controlling problems. They offer a disciplined and structured therapeutic environment that emphasizes character development, spiritual growth and personal responsibility. 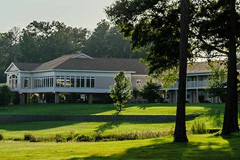 The Alabama campus is one of the finest among Teen Challenge programs. New Hope Boys Home near Austin, Texas is a school that offers life transformation to boys who are struggling with life-impacting behaviors, addictions or attitudes. The year-round program includes a number of training and counseling elements designed to turn around boys and prepare boys to transition successfully into adulthood. New Lifehouse Academy in Northeastern Oklahoma is a low-cost program for troubled girls. The therapeutic school is designed specifically to help girls struggling with defiance, depression, anger, and substance abuse. The experienced and caring staff at this program can help your daughter overcome her issues and begin to live a new life. Brush Creek Boys Academy in Northeastern Oklahoma is a year-round ranch-based program for adolescent boys who are struggling with destructive choices. The program enrolls boys ages 13-17, giving the boys a rustic, peaceful and spacious setting in which to make lasting life change. Teen Challenge Adventure Ranch in Arkansas is a first-class therapeutic program dedicated to helping troubled boys recover from addictions and get a new start in life. Boys ages 14-17 who come here are in need of help due to more serious behavioral or substance abuse issues. Insurance is accepted. Treasure Coast Boys Academy (Vero Beach, Florida) is a residential boarding school for troubled boys who are struggling with behavioral issues or poor academics. The boys are counseled and provided a top education while enjoying wilderness outings. Lakeland Girls Academy (Lakeland, FL) specializes in helping struggling teenage girls get back on track in life behaviorally, spiritually and academically. LGA provides a positive environment for change where girls learn to take responsibility for their own actions and accountability. Prayer Mountain Boys Academy near Atlanta, Georgia is a year-round, faith-based program for adolescent boys ages 13-17 who are struggling with destructive choices. The popular program is expanding and focuses on teaches leadership principles. Kansas City Girls Academy is a year-round Christian boarding school for girls ages 13-17, located in Kansas City. It is an affordable program for girls who have life-controlling issues and bad behaviors. It is designed to repair behavioral issues brought on by trauma, adoption, family discord, peer pressure, or substance abuse. Gateway Academy in West Florida helps teenage boys who have gotten off track in life and need discipline and respect for authority. Gateway is highly disciplined and features all of the elements that will have the most positive life-long impact on boys in the shortest possible time, administered by loving mentors and teachers.